How do you ensure a sustainable and quality product, delivered in time? 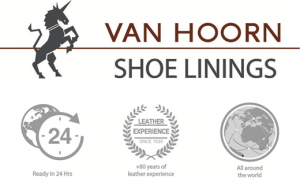 We asked this question to Van Hoorn Shoe Linings. Van Hoorn takes a lot of steps to make sure the right products, with the right quality are delivered at the right time. What quality control measures are in place to measure and safeguard the products and services? These are the steps included in the label to ensure sustainable and quality sourcing? A close cooperation with their suppliers to make sure the best techniques and additives are being used. This results in significantly more stable leather products. Besides standard chrome VI testing, Van Hoorn subjects the products to enhanced anti-aging testing to determine future oxidation from chromium III to chromium VI. Testing is being carried out by independent agencies like TÜV, SGS and Intertek according to DIN EN ISO standards which indicate if products are free of harmful substances. 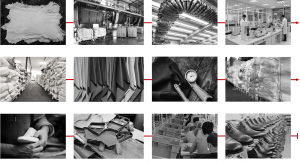 Testing takes place before shipping at the tanneries and at random arriving at the warehouse. All products have REACH compliance. By using a certified GER machine Van Hoorn is able to guarantee the right dimensions. Visual checks are being carried out on arrival and before shipment in order to make sure the colours and textures live up to quality demands set by Van Hoorn. HexaChrome products have competitive prices and are exclusively available (on stock) at Van Hoorn. Van Hoorn has local agents in many countries all over the world who have their own well-stocked warehouses, so they can provide fast and excellent service to all of their customers. After looking over a number of the blog articles on your site, I really appreciate your way of writing a blog. I saved it to my bookmark website list and will be checking back soon. Take a look at my web site as well and let me know how you feel.